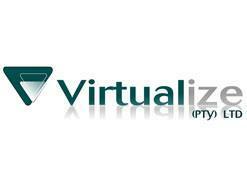 Virtualize was formed in 2008 as an entrepreneurial black owned company focused on supplying specialized computer products and services to government and selected corporate customers. Virtualize sources specialist Information and Communication Technology for the Government and Corporate markets and provides associated Software, Hardware, Stores and Logistical Services including On –Site Resource provisioning and Full Lifecycle management of ICT products. To become a well Established and Recognised Supplier of IT Technologies and Specialized Software and Services to the Government and Corporate Sectors with National Representation through the Development of Skills Advancement of Individuals from Local Communities. 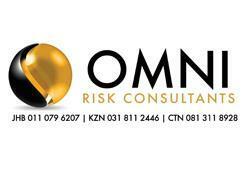 Omni Risk Consultants will endeavour to find you the best deal on your Insurance cover in South Africa… Our highly trained consultants who are specialists in the field of Insurance consistently strive to provide specific products that match your individual or business operations unique needs. 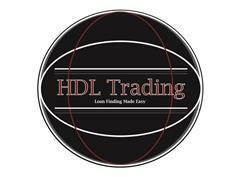 We will initially provide you with multiple quotes and once you have made your purchase decision we will initiate the cover and manage your portfolio to the best of our ability. We enjoy what we do and we believe that this is vital to the success of our business. We do not sell a physical type product and therefore endeavour to consistently deliver on our promises. Omni Risk Consultants is essentially a business focused on adding value to the lives of other people and being there when you need us most. We are determined to maintain our differentiation and know that this can only be achieved if we continue to invest in our most valued asset – our clients. Poswa Incorporated (“Poswa Inc”) is a medium-sized wholly black-owned law firm committed to breaking new ground in commercial law, balancing close attention to detail with a wider worldview. The firm was established in March 2010 by its founder and CEO, Luyolo Poswa. It is a progressive law firm which provides services across all aspects of commercial law, including the structuring of transactions, negotiation and drafting of agreements, legal opinions and legal due diligences. Poswa Inc also offers conveyancing and notarial expertise as well as general legal advice and litigation through commercial, civil and labour spheres. Poswa Inc’s head office is based in Sandton and they have expanded their national footprint to operating offices in Durban and Bloemfontein. Poswa Inc’s proven track record spans over 90 years of combined legal experience in the corporate, private and financial sectors – Through specialist insight and personalized service, they focus on tailor made legal solutions that broaden business horizons. triVector is your partner of choice in delivering vector-driven Business Process Management (BPM) solutions, services and support. We provide the expertise and knowledge to direct, and the passion and people to drive value-added BPM solutions, services and support. Focused on enabling business strategies and unlocking potential value, triVector improves process agility and ensures operational efficiency. Our BPM service offering includes the development of BPM capabilities for improvement and optimisation, Application Life Cycle Management, ensuring a “Single Truth” from BluePrint to Go-live and thereafter, Process Orchestration, executing improvement across business units, and Process Optimisation. Our key differentiator lies in the combination of our expertise and capability in leveraging advanced and appropriate technologies. Our consultants are also change agents, working closely with our customers ensuring change management and the transfer of pertinent skills where required. Supported by our core values of excellence, integrity and collaboration, triVector builds and maintains strong partnerships with customers and partners, including SAP, Software AG, OpenText, ProcessGene and Diligent. 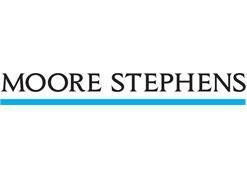 Turner & Townsend is a leading global programme management and construction consultancy that supports organisations that invest in, own and operate assets. We provide a comprehensive range of construction and management consulting expertise including Cost Management, Project & Programme Management, Procurement & Contract Services, Project Controls, PPP Consultancy, and Assets & Facilities Management Consultancy. We worked on large scale and complex African projects with a combined value of more than US$100bn in 2012. We are confident that, whatever the challenges you might face and whatever phase your project is in, we can work with you to develop a solution. With more than thirty years experience in Africa, where we have built up a capacity of 225 professionals in the region, Turner & Townsend is able to support major asset improvement programmes and offer clients best value for their investment across the African continent. Working from 80 offices in 33 countries, we are making the difference to projects across the property, infrastructure and natural resources sectors worldwide. Anana is an award winning contact centre solutions innovator and systems integrator, with a heavy focus on integrated digital, mobile, social and multi-channel solutions. The capabilities are founded upon many years of deployment and operational experience with large scale contact centres with integrated voice and interactive voice response solutions across many industries. Ambit is a leading IT distributor that provides its clients with ICT solutions. We believe that the reseller channel is the key to the African IT industry success and we assist our resellers in maximising profit margins, increasing competitor advantage and fulfilling your customers IT requirements on a workable lead time whilst remaining within your budget. Ambit has a range of competitively priced IT products and services offering clients a competitive edge and a dedicated account manager to meet your every day requirements. We are specialists in data centre hardware, solar ICT solutions and to add to our wealth of experience, we are the official distributor for Nexa tablets in Africa. AA Talent is an affrimative action company in South Africa, a premium job portal for candidates that fall into the R20 000 per month bracket, helping them climb the corporate ladder. The Africa Business Group (ABG) is an organization that is focused on helping to increase trade and investment in Africa and between Africa and the world, and thereby works to stimulate. Embraced by an entrepreneurial spirit, AFRiKiDS is to be recognized as a leading private initiative in the social services sector with its focus to rescue and raise orphans affected by the AIDS pandemic in Sub-Saharan Africa, in a unique manner at suitably equipped facilities. AltX has an aim to expand capital-raising and investment horizons within quality, high growth companies. It is an alternative exchange and the investors are on the lookout for fresh opportunities. Amaqwathi has over the years established itself as a leading tourism entity with a substantive presence within the local and international tourism environment. a[s]g (Accelerated Solutions Group) is a leader in the area of performance management systems and techniques with their product suite designed to support and enhance management efforts. Ashbury SatCom is a distributor of satellite phones, airtime and systems. They run the world’s leading satellite networks, such as Iridium and Thuraya. Bikon Capital (Pty) Ltd. is a Johannesburg based consulting firm providing specialized Business Advisory, Financial, Human Resources and Community Social Investment services to South Africa’s top businesses and government institutions. BrandSmart is a brand building company that started in 2002. It aims to open the door to possibilities in the area of corporate branding, marketing and advertising. 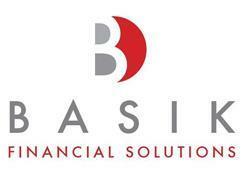 BlackWine is a BEE Level 3 Consultancy with a primary focus in Consulting and Business Support Services. We pride ourselves with the ability to implement world class practices and methodologies and have expertise to engage in both the Private and Public Sectors. IBS Group offers enterprise solutions designed to enhance the operating efficiency and create revenue for State Small Business Development Centers, business associations (e.g. business associations) and Fortune 1000 corporations. 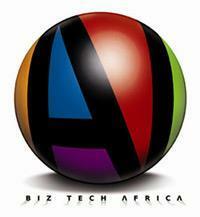 BizTechAfrica.com is the voice of Africa’s ICT sector, providing a comprehensive overview of the ICT business of Africa, with up-to-date news, views and interaction for ICT players across the continent. Bizcommunity.com is South Africa’s leading daily news resource for the media, marketing and advertising industry, reaching 96 000 readers each month in this exciting business sector. Bright Idea Works is a marketing communications, digital advertising and consultancy company. 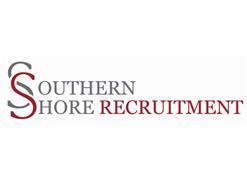 In addition, they provide creative capability to allow for them to be an advertising agency. Bridge People and Technology is a specialist e-learning organization. We have a solid reputation built on our successes with our extensive global and local client base. We blend excellent software with a distinct implementation methodology to ensure that users enjoy, and derive measurable benefits from, using our e-learning content.